But, there are some who seek to escape their need for grace and deceive us by lowering the cost of God’s righteousness. They preach a cheap law that sells indulgences to those who pay with the appearance of sanctification. Translation: When you see someone misunderstanding and manhandling their sanctification, you actually have a justification problem–a “first principles” issue. The problem isn’t that cheap law has crept in to bespoil sanctification. It’s that (Calvinist version) grace never really supplanted sin in the first place or (Arminian version) somebody’s been backsliding. So it’s back to childbirth we go. And that’s why Tchividjian ultimately succeeds in binding the straw man, not the strong man. Ask yourself: Have you ever met anyone who really embraced and understood and vibrantly lived the justifying gospel according to the Scriptures who viewed sanctification as a process of divesting himself of the need for grace? Talk to such a person and it will quickly become apparent to you both that he failed to fully grasp or put into practice or preserve what you taught him about salvation, and you’d best be bent over double in childbirth on his behalf until Christ is actually and genuinely formed in him. When justification by grace occurs in response to a proclamation of the gospel according to the Scriptures, a healthy and biblical practice of sanctification by grace will flow as a matter of course from a healthy and biblical practice of justification by grace. In response to that question, the guide was seriously unhelpful. I wasn’t seeking to “be a replacement for his Beloved Son,” in Tchividjian’s terminology. Instead, I was simply taking seriously the gift of new life I had just received and wanting to live by it. 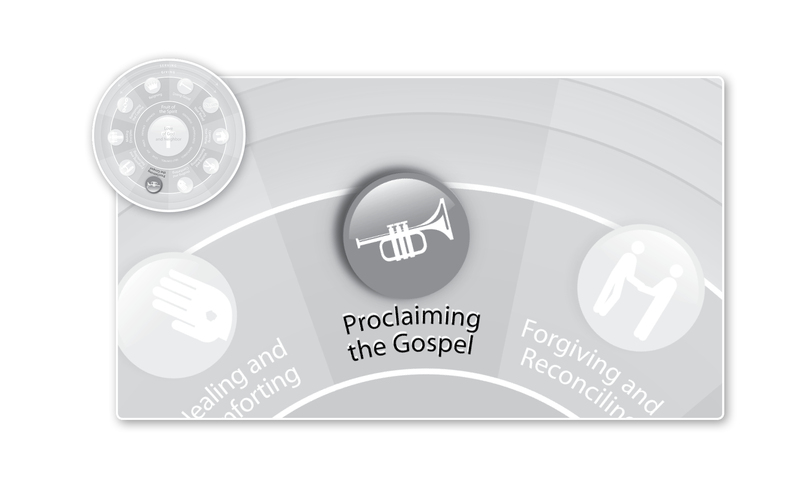 This month we’ll be talking about proclaiming the gospel according to the Scriptures. In so doing we’ll be removing the bifurcation too often placed between justification and sanctification. That they are distinct theological processes is undeniable. That you can get one right and yet wildly mess up the other is one of the grave errors of our modern church age.